The monsters are sleeping. They stand around in dark corners, obscured by a thick dust that hangs in the air. Our squad creeps through the doorway, crouching and tense and heavily armed. Then: a single gunshot. The monsters are awake. They scream, they run at us, they flail and strike with fleshy, twisted limbs, and call out for more of their brothers (sisters?) who come scampering through the cavern toward the noise and gunfire that follows. Eventually, the squad fights them all off, things calm down, the last of the fleshy creatures is killed. All right, asks one of the team playing GTFO with me. Who fired that shot? “Yeah, sorry,” I say. 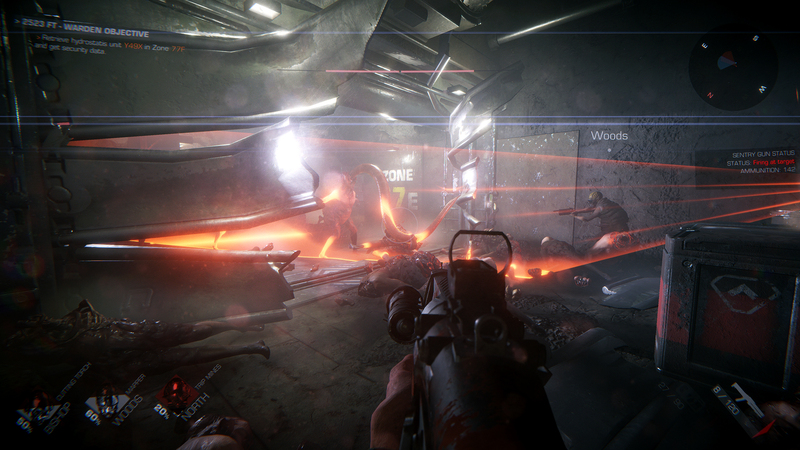 “That was me.” GTFO is a four-player cooperative shooter about exploring the depths of a mysterious cavern facility and trying not to get your friends killed by gory, Necromorph-style creatures. I played through a mission with the developers this summer, and we were twice wiped out by crowds of fleshbeasts and lumbering, hellish brutes. 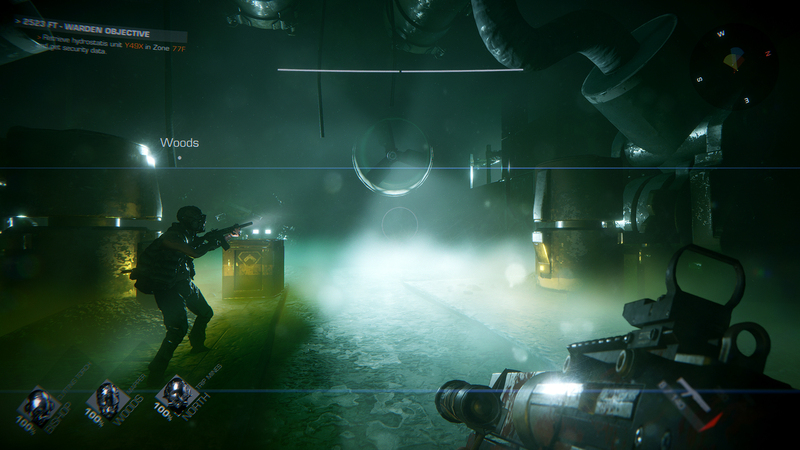 It’s part Aliens, part Left 4 Dead, and is being made by a team composed partly of former developers of the Payday games, the series of co-op bank robbing games. 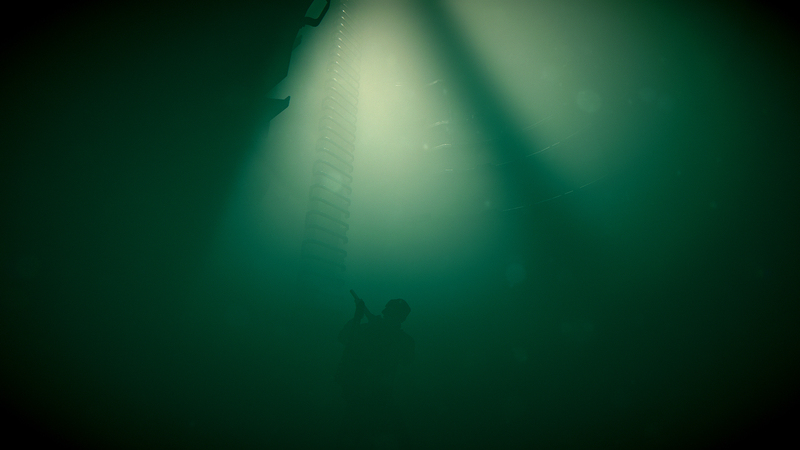 You play as four scavengers sent into a fearful, procedurally-generated underground complex to retrieve artifacts. There’s dust everywhere. A motion tracker lets one player sense movement. A “geo-mapper” lets another reveal the shape of rooms and corridors hidden behind sealed doors. The technology, whether it’s laser-powered room scanners or doors locked by bio signature, all feels like it belongs on the Nostromo. But it’s the horror that drives the co-op, says Andersson. It’s a tense game, I see that for myself as we take quiet steps through dark passageways. But the ‘horror’ soon becomes ‘action-horror’. A game like this is built so things can eat you. During the demo, I see plenty of “sleepers”. 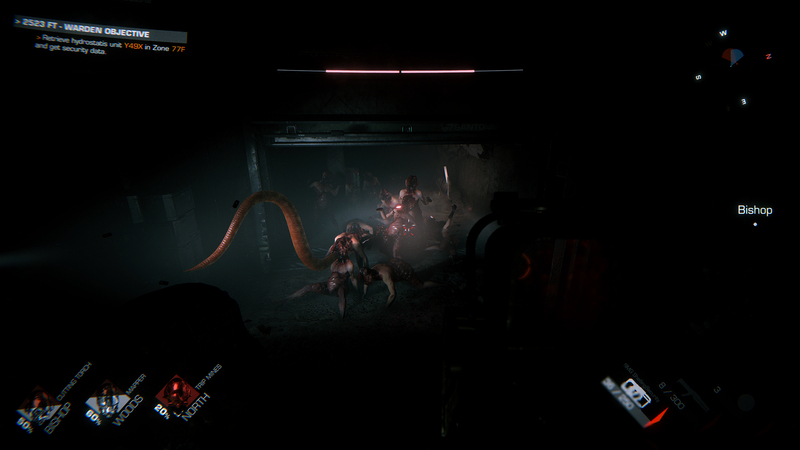 Those creepy, mouth-breathing zombalikes who stand around in the darkness. You can kill these dweebs from behind with a stealth kill. Otherwise, they stand around snoozing, until someone makes a noise, and they suddenly aren’t. Other enemies include one bad boy who emits shadowy tendrils in a wide radius. Step into a tendril and he’ll screech, waking everything else up. Another gore-smattered beast is a tall, bulky version of the average zombie, who doesn’t go down easy when the bullets start flying. They all fit this kind of game, maybe a little too well. 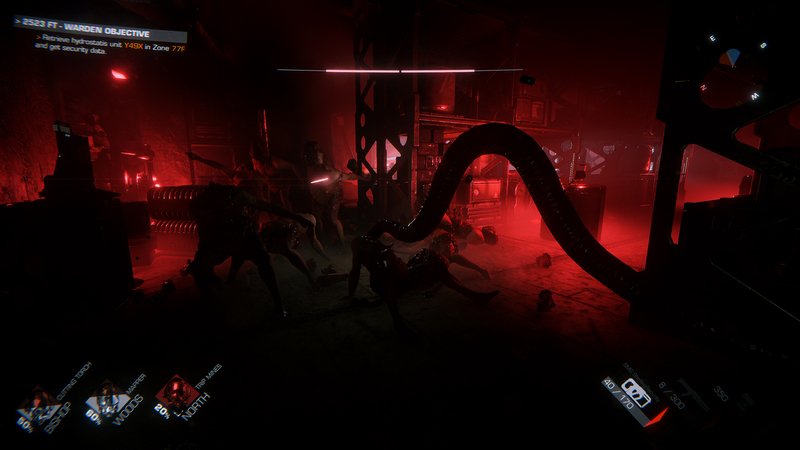 With four-player games of this ilk, we seldom see anything really fresh, not since Left 4 Dead and its sequel designed the templates for monstrous, esoteric baddies. I ask Andersson if they feel like their enemies are distinct enough from the usual crowd of Hunters, Witches, and Tanks. “First of all I think you’ve got to serve up a fairly baseline of enemies that people know,” he says, “because it’s hard enough to figure out those specials, you know? So we dabble in the Left 4 Dead enemies but we’re also inspired by a bunch of different co-operative games and other games too, because we do a lot of different variations of enemies. Like he says, there are creatures I didn’t get the pleasure of shooting. One of your enemies is a shadow that can only be seen in the spotlight, although that wasn’t shown in my demo. This idea is more unnerving than anything I encountered, because the flashlight is designed to be turned off at critical points. 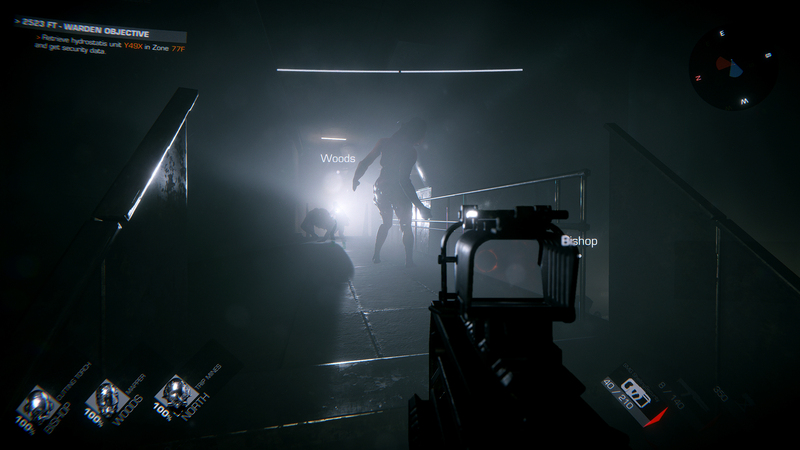 Whenever you enter any room with enemies, for example, you need to turn your flashlight off, so you don’t disturb them. But if there’s a shady boy in there, well, he’ll be impossible to see. For now, we focus on the mission. We’re supposed to get to a certain room and retrieve a do-hickey. But that involves unlocking lots of doors. Some doors require a bioscan. In other words, you have to stand in a glowing light for long enough to be scanned, then move to another bio-light and stand there. This is harder than it sounds when there’s a swarm of fleshy gits nipping at your ankles. There are many defensive moments like this. When the team knows a doorway will trip an alarm, it gets ready. You set up laser mines, sentry guns. One player has a glue gun that can seal doors, creating makeshift barricades that eventually get battered down by clawing hands. As we held out against the hordes, it reminded me of defending the Little Sisters in BioShock 2, except there were four of us and I was the helpless child. But the quiet time between the shootouts has its appeal too. One of my favourite moments was discovering the terminals scattered throughout the complex, which you can use to type instructions, command-line style. Like Duskers or Hacknet, you’re typing in hackerspeak to affect the real world. Want to open a locker? Type the open instruction and the “address” code of the locker. But to know the address of the object you’re hacking, you need someone to actually go over to it and read it out. That means the team has to split up to unlock some doors, since terminals are often in other rooms. 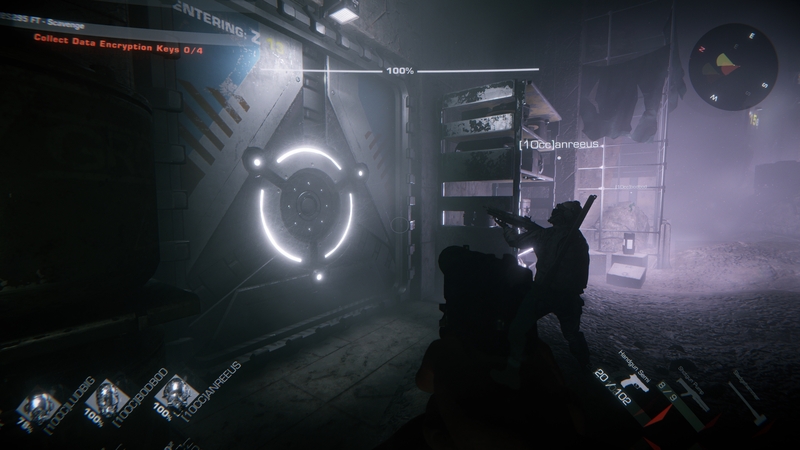 In the demo, these nifty terminals were limited to opening doors or lockers containing ammo and health kits. But the team says the feature will be expanded, and you’ll be able to do other things, like turn lights on or off. 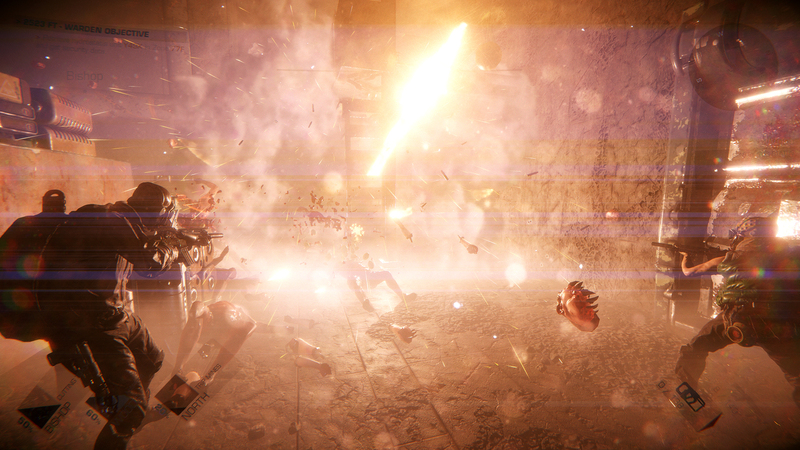 Eventually, during our second attempt at the complex, the squad succumbs to a swarm of fleshers while wrestling to stay in the light of a bioscan, and I too am slaughtered by one of the lanky, tanky musclemen. Maybe I would have fared better as a zombie myself. But there are no plans for a competitive versus mode, says Andersson. I didn’t get to hear much of it over the screeches of meaty monsters and the gunshots of my compatriots, but there’s also some chatter between the four characters of the game. And the story – the reason why they are all together in this dusthole – will be explained partly through this dialogue. But I’m not wondering how they got there. I’m wondering how much of the game will involve playing dress-up with these scavengers. There’ll be cosmetics and customising, says Andersson, but it won’t follow the Payday model by any means. “We’re not doing any deep DLC paid stuff,” says Andersson, “I left [Overkill] before all of that happened. I left on the release of Payday 2, so I can’t really take responsibility for all of that. I can take responsibility because I designed the frame of it, but my intent was never to go monkeyballs on the cosmetics, because I don’t like microtransactions. Multiplayer games sometimes have trouble making sure their audience sticks around. Instinctively, I’m happy to hear that 10 Chambers won’t be over-doing the paid-for DLC. But it also makes me wonder how the studio is going to keep its players on board for a long time. But according to Andersson, they don’t really mind if players get their fill, clap the dust from their hands, and leave. I’ve been killed, along with the others, and it’s almost time to leave the 10 Chambers’ small cavern at E3. But I have one more question: That name. GTFO. Why? But GTFO, I say, does mean something very explicit. “I mean, it has to do with the story of the game,” he admits. “Getting out together, out of the whole situation. Tagged with 10 Chambers Collective, E3 2018, feature.